Welcome to our celebration of North America’s Singing Insects. This site is a replacement for the original SongsofInsects site that was a companion for our book, “The Songs of Insects,” published in 2007 which is now out-of-print. That original site made heavy use of Adobe Flash. The present site uses HTML 5 and java making it accessible from desktops, laptops, tablets, and smartphones. As an extension of the printed book, this website is infinitely expandable. New species will be added to this site as they are encountered. Also, distributional maps will be updated as more information becomes available. As such, all materials (images and sounds) are copyright. If you would like to use images or sounds for your project, please contact use for the licensing fees and terms. 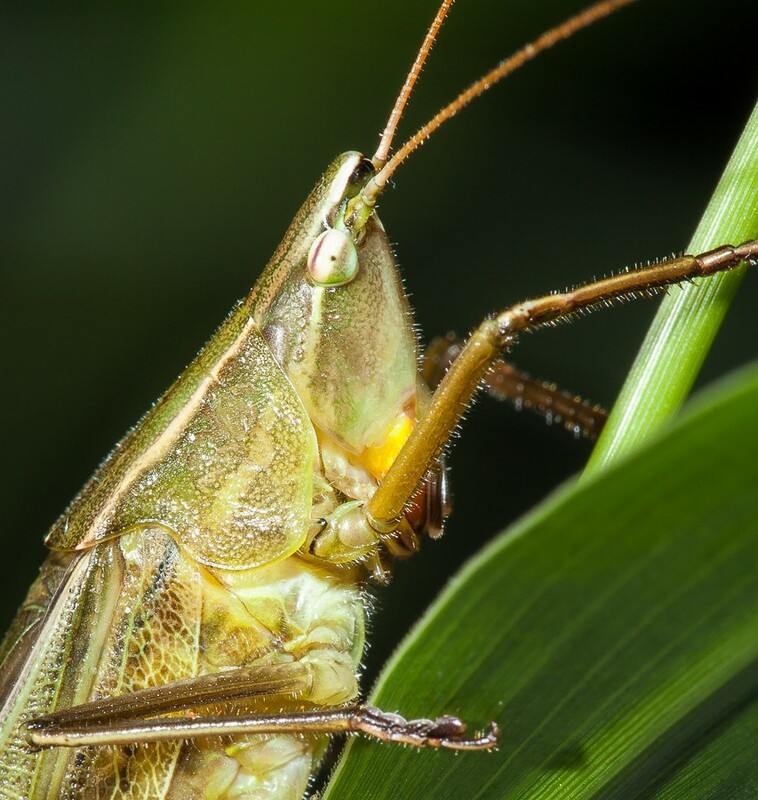 Through this site, we hope to increase your knowledge of the songs of crickets, katydids, and cicadas. We also encourage you to take part in the development of a new aesthetic, where a love for insect songs springs from the heartfelt understanding and joyful appreciation of our native insect musicians and the incredible sounds that they make. In a culture where knowledge of insect song is pale in comparison to the interest in the songs of birds and frogs, we are determined to bring singing insects into popular focus. We will accomplish this by sharing the resources we’ve collected and by communicating our passion for these marvelous fiddlers of the forests and fields. By studying the rich content on this site, you will learn all the common crickets, katydids, and cicadas of eastern and central North America, when and where to search for them, and how to identify them by their appearance and by their songs. You will also learn the best ways to locate, capture, and keep insects. Last but not least, you will hone the fine art of insect song appreciation, where the cacophony of confusing insect sounds magically transforms into a delicate concert of creatures dear to the heart. We hope that you will enjoy learning about our amazing singing insects!